Campbell High School is very proud of its students. One way we celebrate this is through our School Board uniform policy, which enables students to identify as part of our school community. It is based on the school colours - navy and white. Navy and white polo shirts and long sleeve navy hoodies and jackets with the school logo are available through the uniform shop, located in the front office. The band, TSP, CLLASS and CLASSIC programs have specific uniforms which are ordered as required. The principal and staff encourage students to dress neatly and appropriately. Support from parents and carers in this area is essential to the success of our uniform policy, to encourage appropriate dress, cleanliness, good grooming and pride in appearance, whilst still allowing for flexibility and individuality. 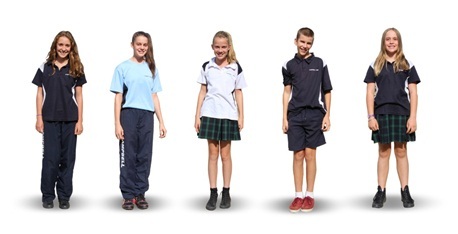 We need parents and carers to fully support the school in ensuring students are in uniform. Students not in the dress code may not be allowed to attend excursions and are not allowed on the oval at recess or lunch time. This is in the interest of safety—teachers need to be able to identify students quickly, especially in the case of intruders entering our school grounds. Please note: students are required to change for PE into shorts, track pants or exercise skirt, appropriate footwear and the light blue PE t-shirt. The uniform store is located at the front office (finance window). 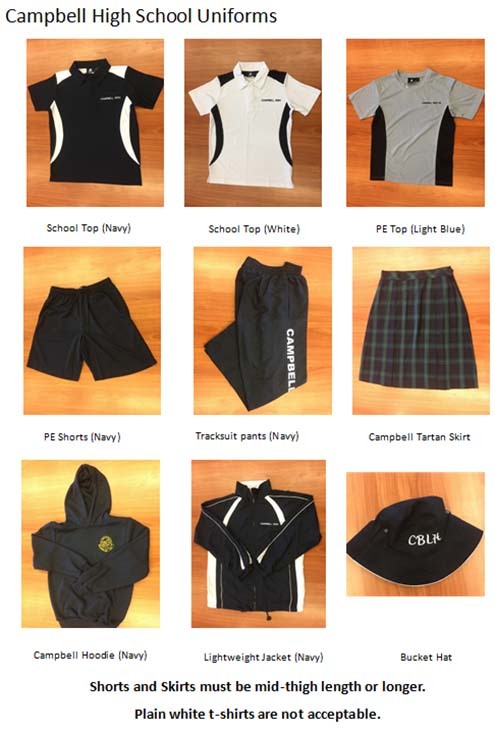 Priced at $5 each—sizes, colours and types of uniforms are subject to availability. All items are washed and checked for quality before sale. Purchased at Student Services (10.00am—2.00pm). Payments are to be made at time of pickup.